Breakaway from the traditional with a gift that's sure to score big with the hockey lover on your gift giving list! 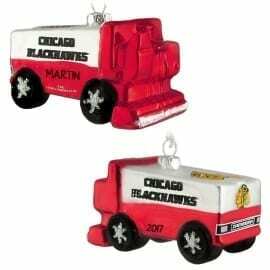 Our officially licensed National Hockey League holiday decorations feature the official colors & logos of your favorite teams. Our most popular themes include lil players, stained art glass and goalie ornaments. 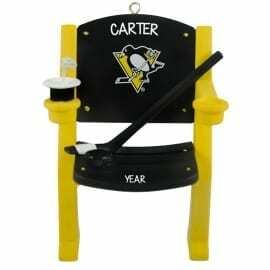 Allow one of our gifted writers to add the hockey fan’s name & year to a customized ice hockey ornament at no additional charge. 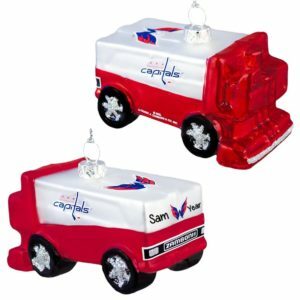 Our ice hockey decorations make affordable souvenirs of a 1st trip to a hockey game, unexpected birthday party favors or an interesting clue in a scavenger hunt for season tickets! 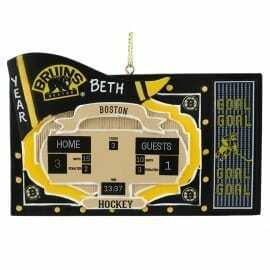 Celebrate a team’s winning season all year long with personalized NHL Christmas ornaments. Power play!